I have so many Christmas projects to share with you all this year… I am so excited! Last weekend, we put up our tree and tonight we are going to decorate it! 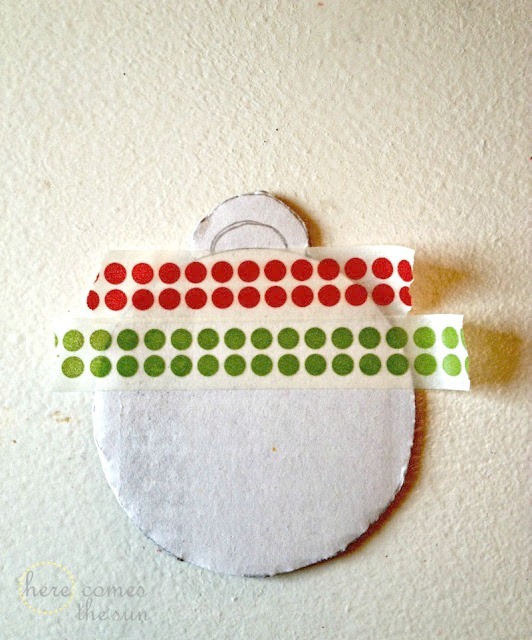 I shared my Snowflake Ornament with you last week and today I’m sharing my Washi Tape Ornament. Washi tape is right on up there with glitter as one of my favorite craft supplies. 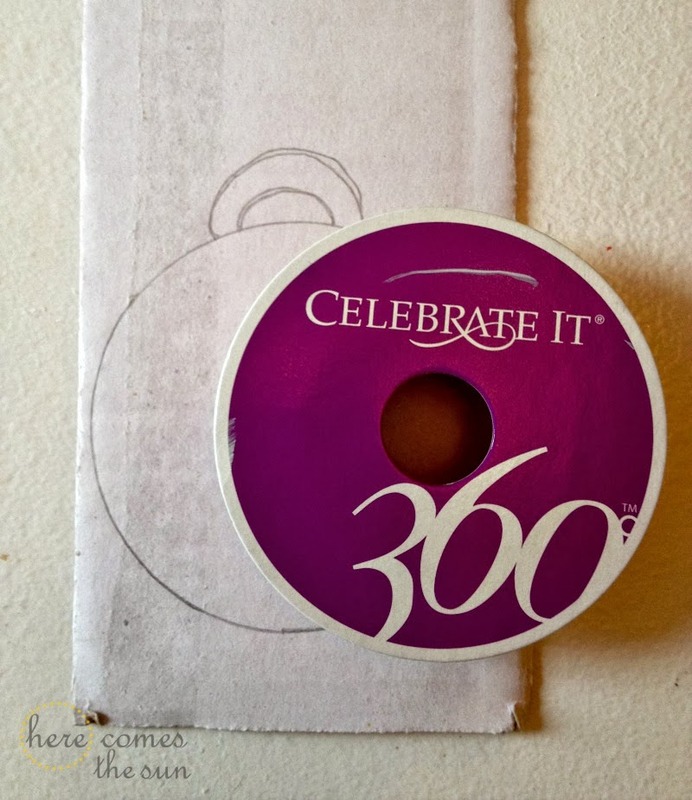 It is so easy to use and comes in just about any color and pattern imaginable. This is an ornament that I actually made last year but never shared with you all. Luck for you, I dug it out of my vault and you can learn how to make your very own today! 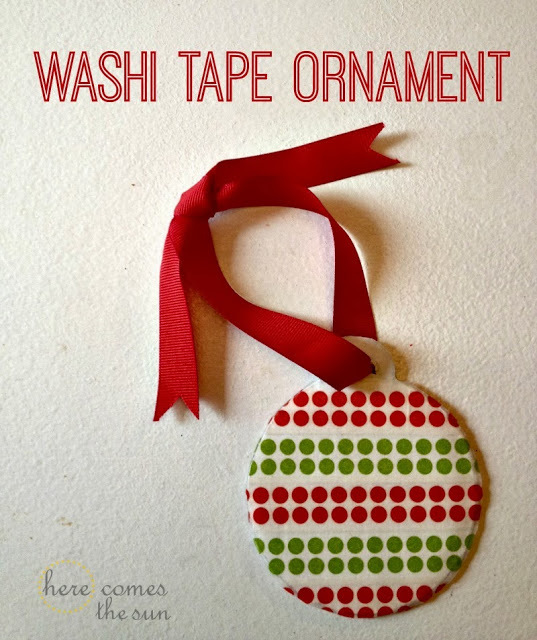 To make your washi tape ornament you will need cardboard, ribbon, white paint, washi tape and scissors. Trace an ornament pattern onto your cardboard. 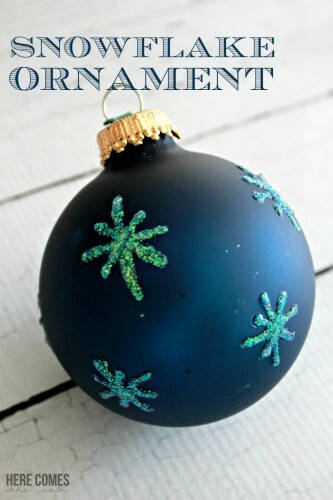 I used a basic ball ornament shape and used the ribbon roll as a pattern to trace around. I free handed the top hanger. Cut out your shape and paint both sides with white acrylic paint. Let that paint dry. You need the paint because washi tape is semi-transparent. 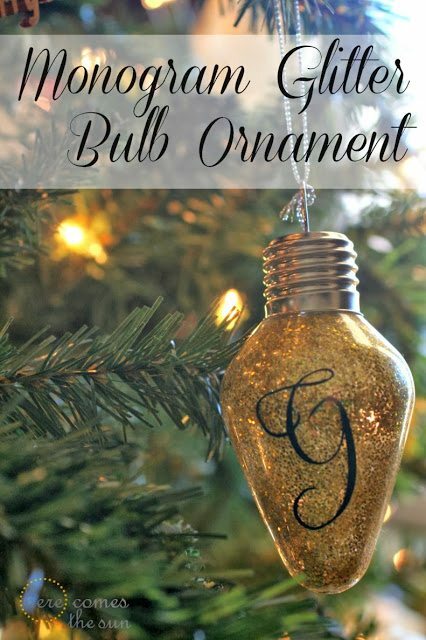 If you are using a dark colored washi tape, you may be able to get away without painting the cardboard but for my particular ornament, I needed to paint it. Choose washi tape in holiday colors. I chose red and green polka dots. 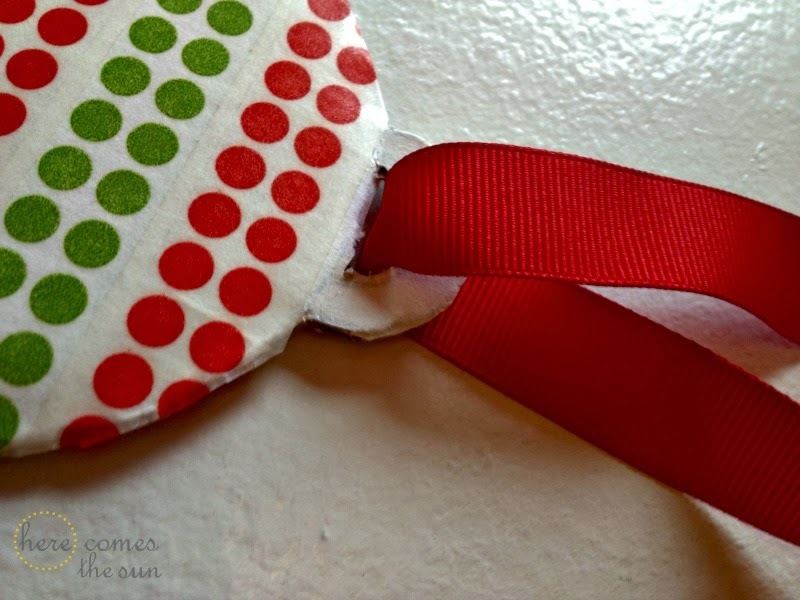 Place the washi tape onto both sides of your ornament, overlapping the edges. Press the washi tape together at the edges and cut the excess off. Thread a coordinating ribbon through the top and you’re done! These are so easy that the kids can take part in this craft.